The library is so much more than just a place to borrow books! Check out all these great benefits from the public library that can save you money. I used to spend many summer days at the library. In those weeks after camp had ended but before school started, I would be dropped off at the library bright and early. I’d read books, flip through magazines, play hide and seek, and even volunteer to put books away when I got bored. I thought at the ripe age of 10 I knew everything about my library. I could tell you about the teenagers who would hog the computers. The old lady that would always jam the printer. The kid that was definitely going to cry during story time. The mom that always had late fees. But looking back, I had only uncovered a small part of the library. There were so many hidden benefits that were completely unknown to me. So many ways to save money with the use of a library card. So as an adult, with a new wealth of knowledge (ha! ), I’m going to share all the tips and tricks to save money by using the library. What’s better than lounging around and reading trashy magazines? My library has a whole section on magazines – from trashy to educational to kid-friendly. Even better, you can also get access to these magazines online! In the same way that you can download ebooks, you can also download emagazines. My library still has a massive collection of CDs. As a kid, I used to borrow the CDs, burn them onto my computer at home, and then return them. Now, some libraries even allow you access to digital music through Freegal or Hoopla. You may be able to download music for free (there’s typically a limit to how many you can download per week), stream for free (with a daily limit on the # of hours), or simply borrow digital music like you borrow digital books. Along with their collection of CDs, my library also has an enviable collection of DVDs that are available to borrow. Some libraries also provide a streaming service where you can access thousands of movies at your fingertips. This can allow you to save your monthly subscription fee to Netflix or the occasional few dollars dropped at Redbox. Audiobooks are my #1 most utilized library resource. I download and reserve many of them through my library’s app so I always have something to listen to. I like free audiobooks almost as much as I like free podcasts. Lynda.com is one of the best online learning sites and your library may provide you with free access. Take a photography class, learn how to code, or learn about graphic design by taking courses and watching videos. Seriously, how cool is it that you can get this for FREE?! Your library most likely has computers, printers, copy machines, and shredders that can be used for free or at a very low cost. Now you no longer have to pay for an expensive cup of coffee at your local coffee shop if you want to snag the wi-fi for a few hours. If you need a quiet place to study, work, or meet a friend, libraries typically have quiet rooms and sometimes you can reserve them. Almost every library has storytime for kids. It’s the perfect place to cultivate a love of reading while also being able to socialize with other kids and parents. You may be able to grab a free pass to a local attraction from your library. Museums and state parks are really common passes that are offered by libraries. Many libraries offer help with tax preparation, Medicare paperwork, or choosing health insurance. My library can even help you become a US citizen! Libraries are the perfect place for homeschool meetups (some of which are organized by the library). Your library may also offer homework help after school. Free tutors? Awesome! Here’s just a few workshops my library has offered in the past few months: poetry writing workshop, adult coloring class, learning how to write cursive. I just saw on my library’s website that they are hosting a dungeons and dragons night! I think that’s awesome! Libraries may also offer many lectures and other social events like plays. Borrow free tools, technology gadgets, and even kitchenware from your library. Yes, this is a thing. Learn to knit, sew, rug hook. If your library doesn’t already have hobby classes, I bet you could start one. The library is supposed to encourage you to read after all. With book clubs for adults (sometimes for children) and summer reading programs, the libraries are getting back to its roots. There are tons of ways that your kid can consume books, including from an ereader. Libraries have online resources that you can access through their site that provide children’s ebooks, animated picture books, literacy games, and even ebooks that capture and relay historical events. Look for Tumblebooks, Children’s eBooks and Audiobooks, TruFlix, and FreedomFlix on your library’s website. You can save money because you no longer have to buy educational apps or computer games. Why not learn a new language for free? There are two main online programs (Transparent Language Online and Pronunciator) which can help you learn over 100 languages with online lectures, music, and even live teachers! There is also help with English as a Second Language (ESL). Your library may provide you with access to helpful test preparation tools. Typically, they provide you with access to a website which has sample questions for exams like the SAT, GRE, or MCAT exam. Test preparation classes are usually very expensive, so utilizing the library’s free resources is a great way to save some money. Need help writing the perfect resume or finding a job? Your library can provide assistance. 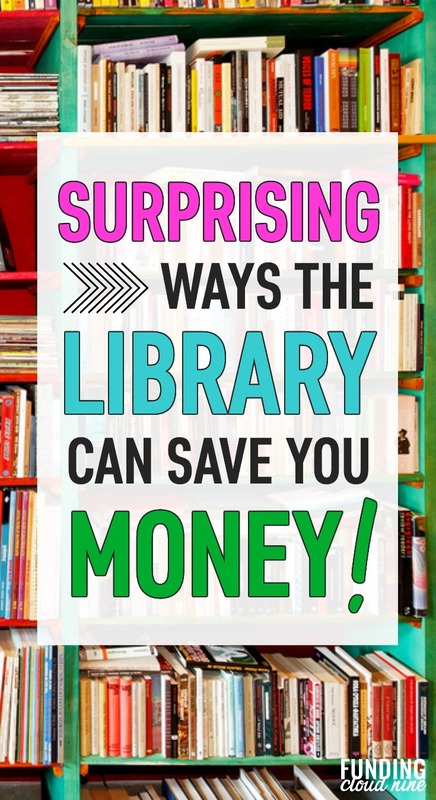 I’ve shared with you many shocking ways to save money at the library. There are so many hidden benefits that the library offers. Get a library card! Simply go into your local library branch and ask to apply for a library card. You may be asked to show some proof of residency like a driver’s license, a utility bill, or a rental agreement. For my library, I needed to show two documents that proved residency and one of them had to be a picture ID. If you prefer a different library in an area where you are not a resident, you likely can become a member of that library for a small annual fee. My library has a $25/year annual fee for non-residents which is such a small price to pay for everything you get. Talk to a librarian. They know all the secrets! Set up an online account. With your library card number, you should be able to set up a username and password. This will give you access to many of the online benefits I mentioned earlier. Install the OverDrive app on your phone, table, and/or ereader. Connect to your library. Start checking out and reserving ebooks. Check the library’s website for a complete list of everything your library offers. Are you a member of your town’s library? What’s your favorite perk?